Obituary for Patricia Warner Roche | McClellan-Gariepy Funeral Home, Inc.
Salem, NY & Charlotte, NC-Patricia Warner Roche, age 87, passed away on Saturday, October 20, 2018. She was born April 25, 1931, in Omaha, Nebraska to the late Charles and Alice Warner and was the beloved wife of the late George L. Roche. Patricia was attending the all-girls Barry College, a Catholic school in Miami, Florida, when she met the love of her life George on a train coming home for spring break. George was in the Navy at the time, but they stayed in touch through letters and were married a year later. They ultimately spent 63 happy years together. Patricia was a wonderful mother to her ten children. 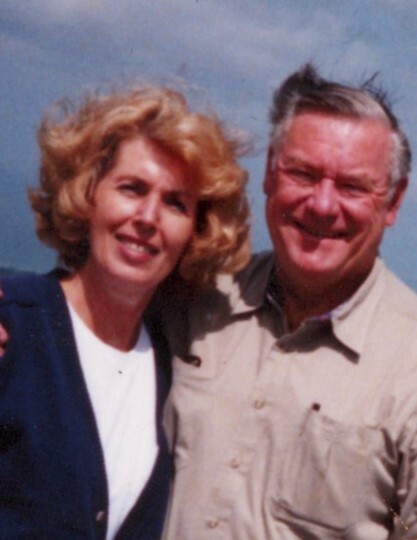 She joins two of her sons, Timmy and Jim, in heaven and is survived by George Roche (Sharon) of Wappingers Falls, NY, Erin Durkin (T.J) of Salem, NY, Dan Roche of Wells, VT, Bob Roche of Holyoke, MA, Jeanine Kiecana (Ron) of Asheville, NC, Denis Roche of Charlotte, NC, Brayton Roche of Charlotte, NC, Bonnie Sheppard (Nevin) of Clemmons, NC, and many loving grandchildren and great grandchildren. She is also survived by her two sisters Marianne Loftus and Margaret Connolly. Patricia loved to talk politics and always stayed aware of the latest fashion trends after retiring from Brooks Brothers. She will be greatly missed by all that knew and loved her. In lieu of flowers, memorials can be made to the Salem Rescue Squad, P.O. Box 360, Salem, NY 12865. The family would like to thank all her friends at the Equinox Terrace in Manchester, VT for taking such good care of her.